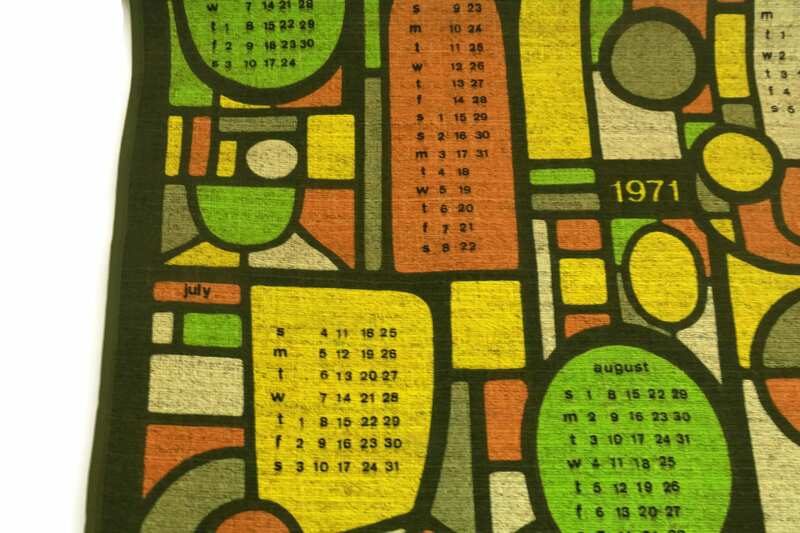 A vintage linen tea towel printed with a calendar for 1971. 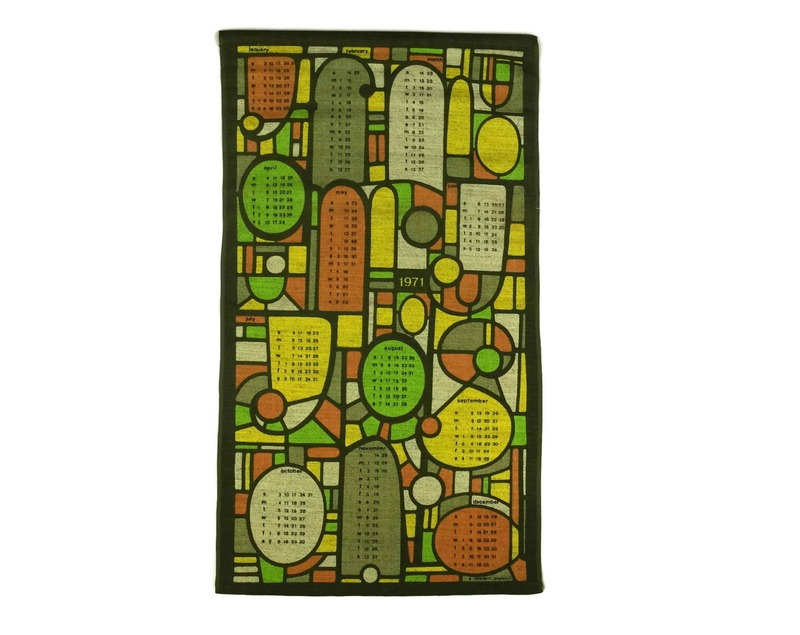 It has been made from pure linen and features a striking stained glass effect print in shades of 1970's orange and greens. 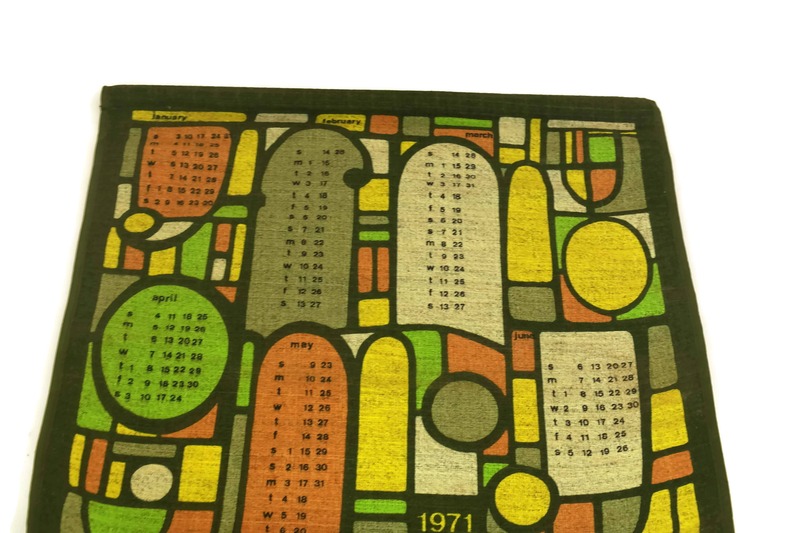 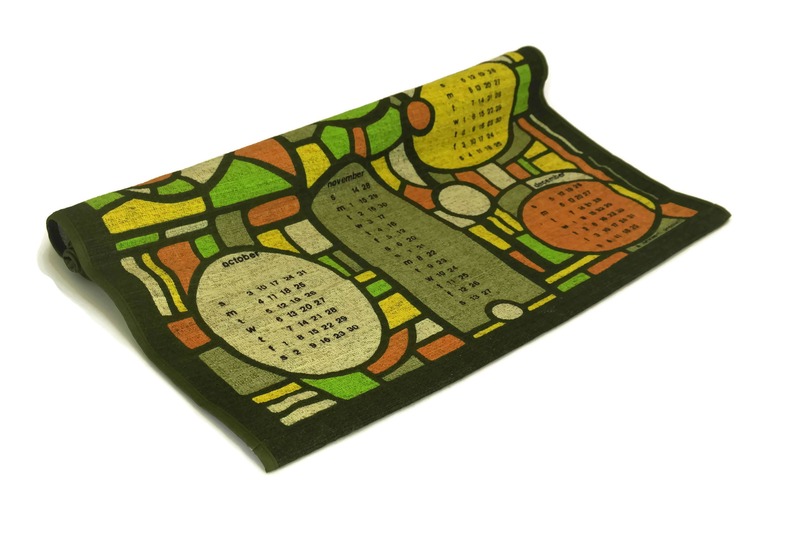 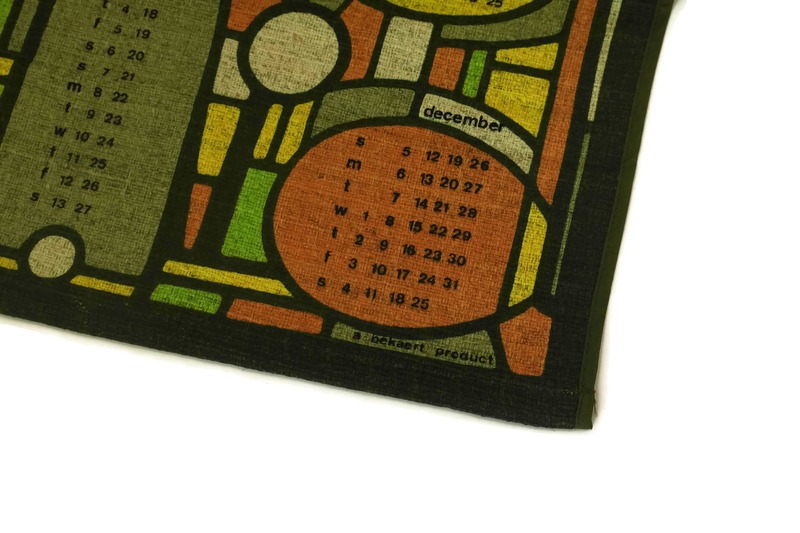 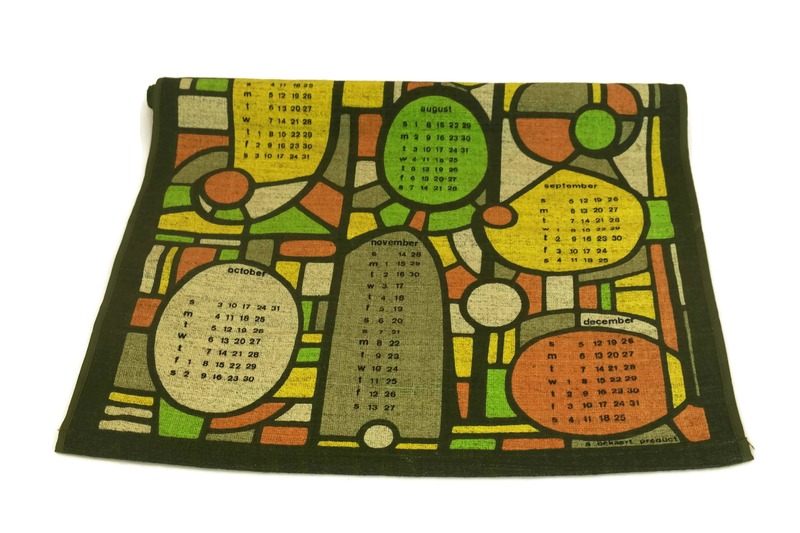 The calendar tea towel was produced by the Bekaert company. 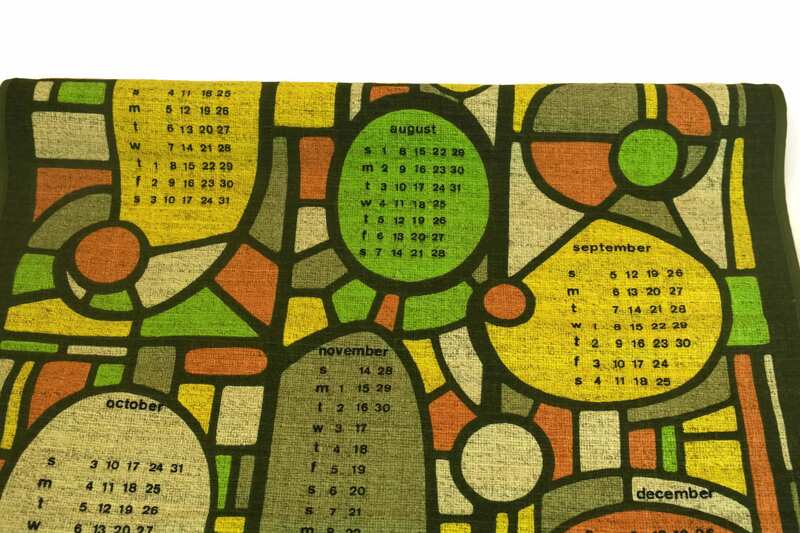 All of the months have been printed in English. 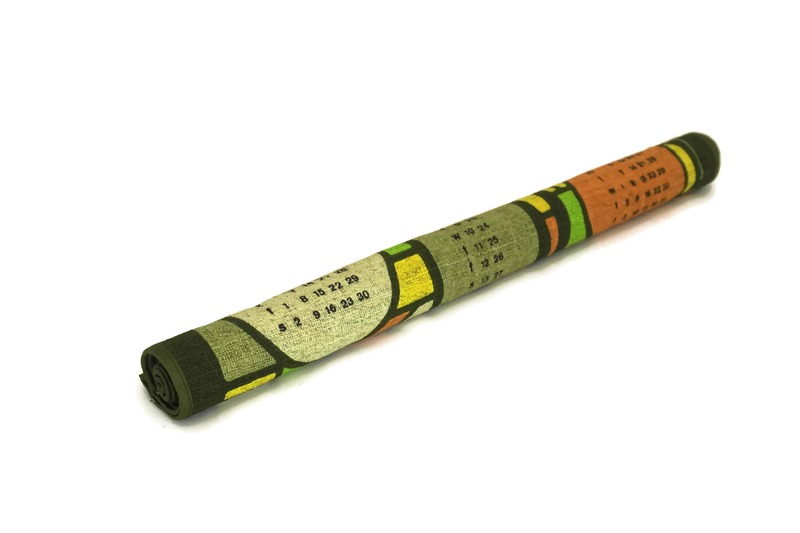 There is a hanging loop and wooden rod at the back to display the calendar on the wall. 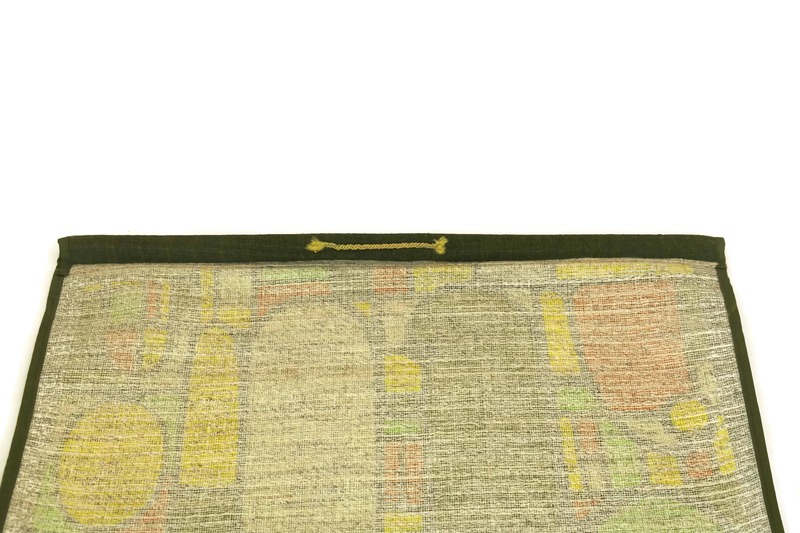 (72 cm x 40,5 cm). 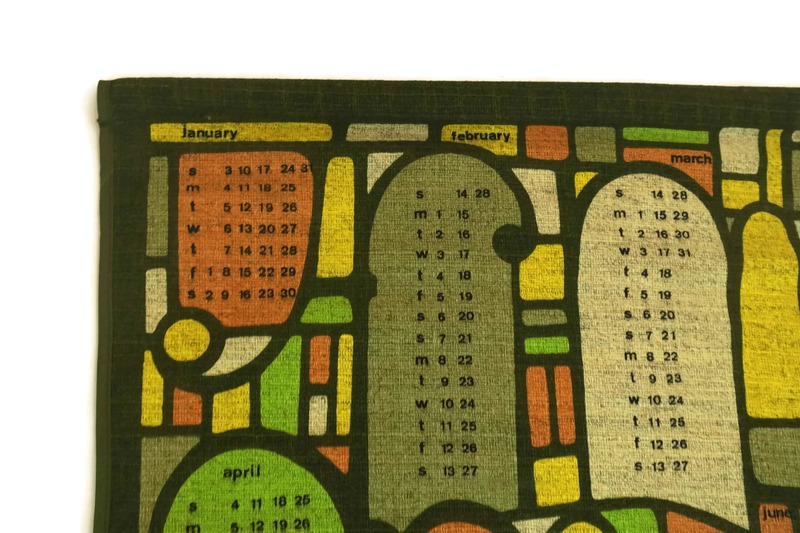 The vintage kitchen tea towel calendar is in very good vintage condition.